I'm just traveling, visiting a friend in Düsseldorf. For the int. Pinhole-Day, I made a cardboard pinhole-camera. So far, so good. Here in Düsseldorf, the analog times are fare away: just "Calumet" has some analog materials, but too big for just one photo. So I decide do use the brand new "Impossible Instant Film PX70". A friendly precision engineer sold me a SX70 mechanic for some coins, and happy I started with my work, incl. 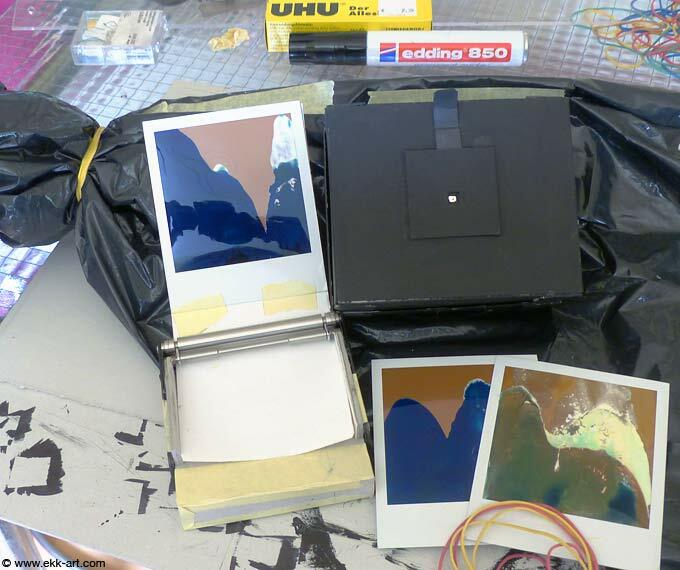 a darkroom-tube, made by waste-bags.